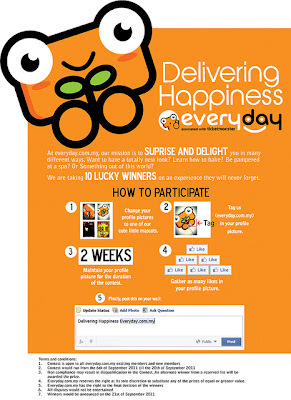 Prizes: 10 lucky winners on an experience they will never forget. Change your profile pictures to one of cute little mascots. Tag (everyday.com.my) in your profile picture. Maintain your profile picture for the duration of the contest. Gather as many likes in your profile picture. Visit Everyday KL Facebook fan page for more detail.